LP met een gewicht van 180 gram, gemaakt in Duitsland door Speakers Corner Records. Puur analoog, audiofiele mastering vanaf de originele mastertapes. Originele uitgever: Atlantic. Leveringsomvang: 1 x 33 toeren langspeelplaat in een LP gatefold cover (350gr/m2) met gevoerde binnenhoes. Planète Disque verpakt iedere LP zorgvuldig in een stevige doos met opvulkartons en een luxe plastic buitenhoes van PVC. 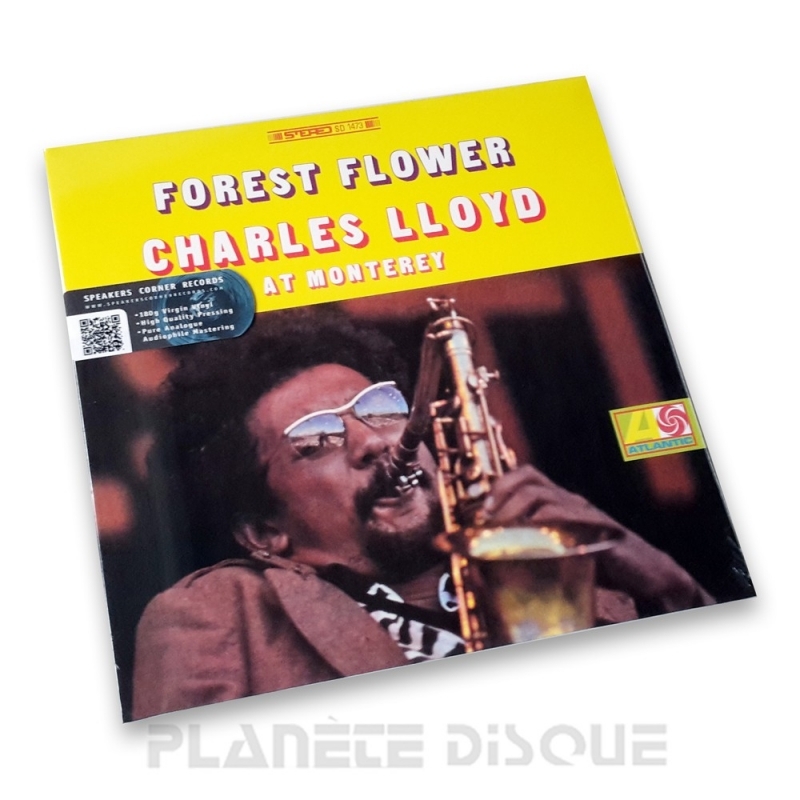 It was a clever move by George Avakian, producer at Atlantic Records, to record live the Charles Lloyd Quartet during their appearance in Monterey, and to release the LP under the title "Forest Flower". Although the hippy flower-power movement tended towards a rather different musical genre at the end of the Sixties, they were blown away by this music. The four artists attracted masses of people and ensured that every seat was taken and all standing room filled at jazz festivals such as Newport, Molde (Norway), Antibes (France) and the Fillmore East and West. The super group also appeared in Monterey, 120 Km south of San Francisco, the centre of the hippy movement, on 18 September 1966.